With the London Fashion Week looming closer on the calendar I really needed some relax and a facial in order to be ready for the fashion marathon. So a visit to Beauty Rose Centre has been a must in my diary. 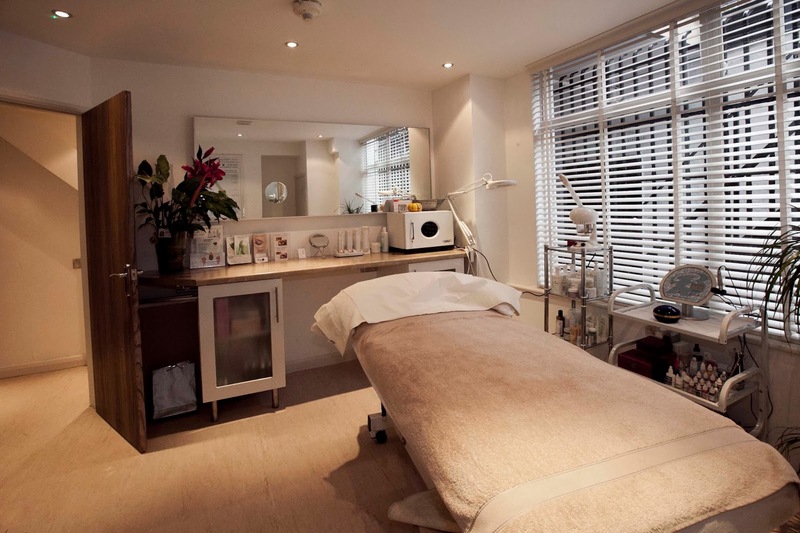 Located in the lovely Portman Village at 21 New Quebec Street London W1H 7DE, this independent beauty centre gives you all the best treatments using the best products and the most experienced beauticians. Katja Falinski has studied in Milan and her team is great. I went there for a mini facial because I did not have enough time, thinking I would have been out in less than 20 minutes. Girls, this is not the case at Beauty Rose. The treatment lasted for nearly 40 minutes and it has been blissful. During my facial I had a delicate stream of steam poured over my face so that the pores were ready to be cleaned without being treated harshly. The products used smell deliciously and my beautician has worked skillfully giving me a relaxing face massage while applying the products. Wax and laser treatments, ayurvedic massages as well as other body treatments, manicure and pedicure and nail art using OPI nail polishes, eyebrows extensions and all treatments linked to the eye area, spray tan service, peel facials, a weight loss technique where you can lose 6 inches in 2 hours with a special wrap treatment if a big occasion like a wedding or an important party is coming your way and you need to be in shape for a special dress, all of these are on the menu at Beauty Rose. Check the website at www.beautyrose.co.uk and start booking your appointment ready to be spoilt at this lovely beauty centre. The season of fashion parties is starting so we have to be ready and being fabulous. Ask for a loyalty card so every 6 treatments when you spend £ 30.00 or more you've got £ 30.00 off any treatments as well as monthly offers always updating. I've left with a clean face and after a week I can still feel my pores free from all the rubbish present in the air. This definitely seems to be a go to place. I really look forward to visit Beauty Rose and have the face peel treatment. What does the chemical face peel cost?